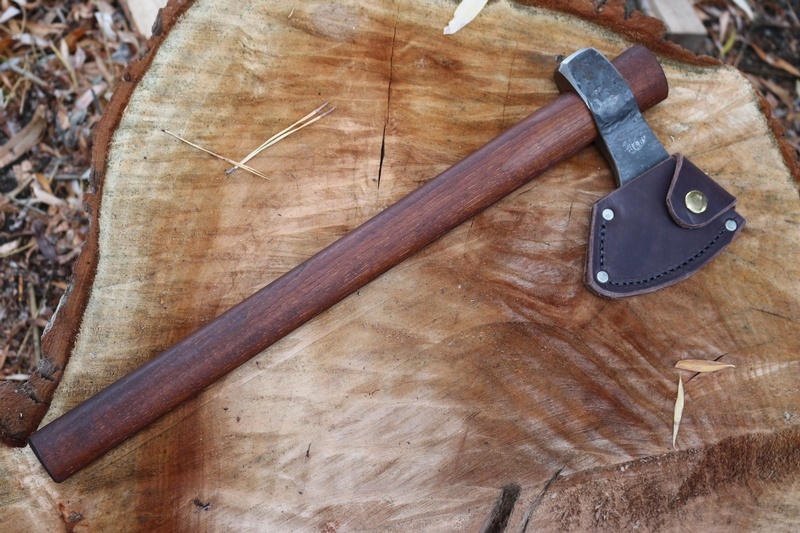 Hand forged in the USA this is a 17in polled Camp Hawk, the tool is the direct lineage from the Forests of the Frontier, used by the hands of the Woodsman and First Nations alike. Hawks are great cutting tools and are often used as an all purpose knife/axe. 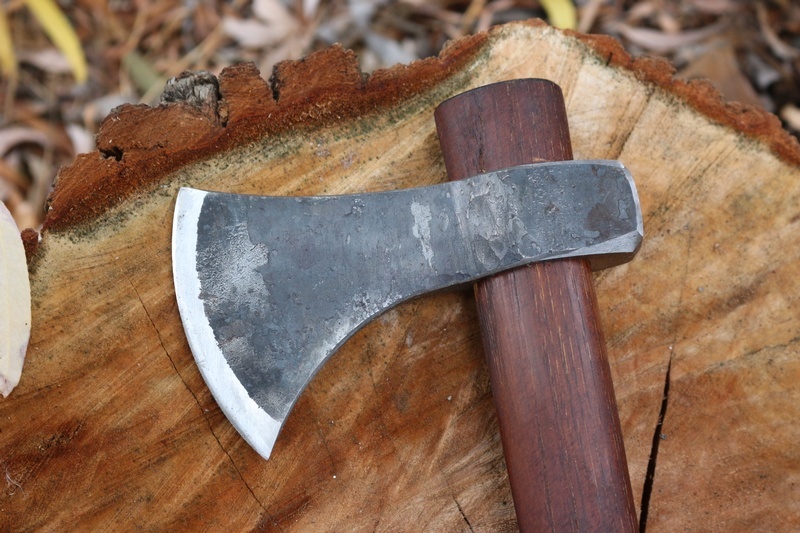 These useful and practical tools have stood the test of time and Fate. 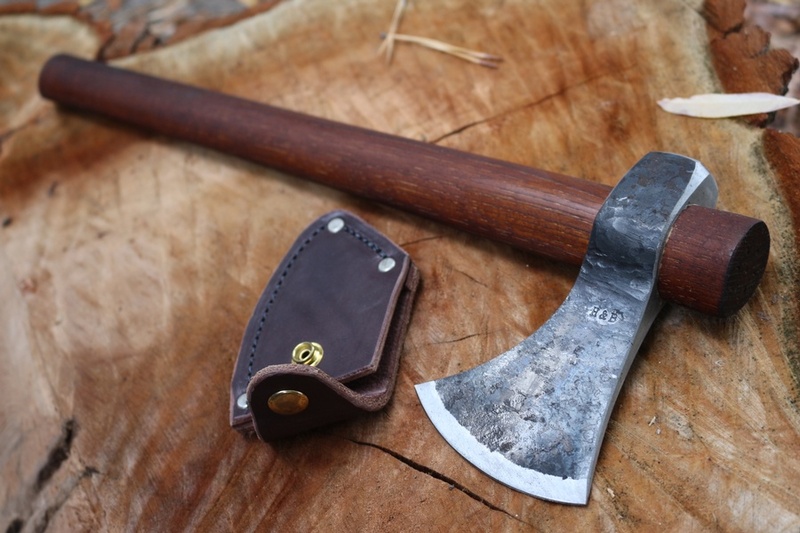 The 1lb hand forged head is light, quick and maneuverable and is a great tool around the camp. The steel is 1018 with a 'bite' of harder High Carbon 1095, so giving you a combination of strengths. 17.5in OAL Hickory stained handle, 1lb head, 5.5 in long with a 3.5in single bevel Cutting edge. Comes with a leather edge protector. Purchase through PayPal by using the "Add To Cart" button above or use the form below to order the H and B Forge Camp Hawk With Leather Edge Cover . 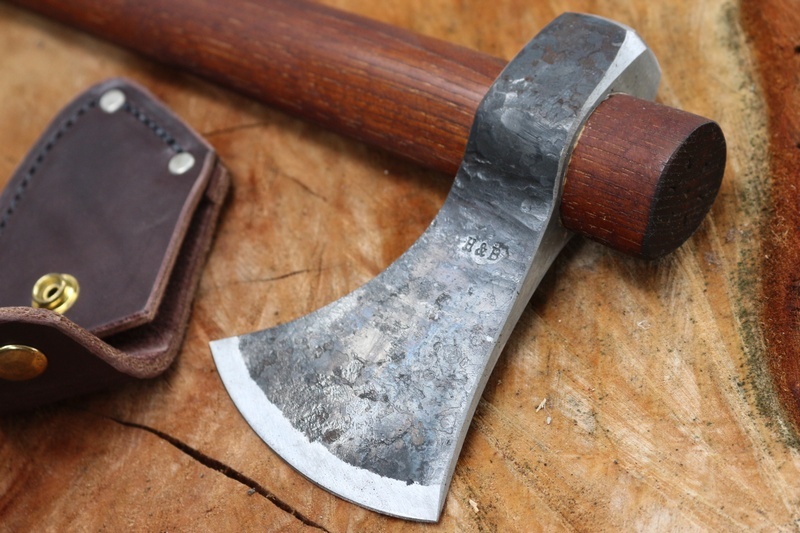 Feel free to contact us if you have any questions about the H and B Forge Camp Hawk With Leather Edge Cover .